They do this. My poor van. 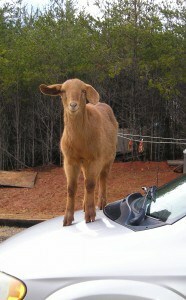 Anybody know how to keep a goat from jumping on your car?? This is way we got rid of the goats. Not for my old car, but the neighbours!! My day needed this! You made me LAUGH! thanks. p.s. Adorable…sorry about your van. I have to agree with the other posts – that is a great picture! Couldn’t tell you how to stop them from doing that though :). That is a great photo. Thanks for the laugh. We had neighbors with goats when I was a kid. The nanny goat figured out how to jump from the doghouse roof onto the roof of their house. She was standing on the peak by the chimney when we spotted her. What a photo! 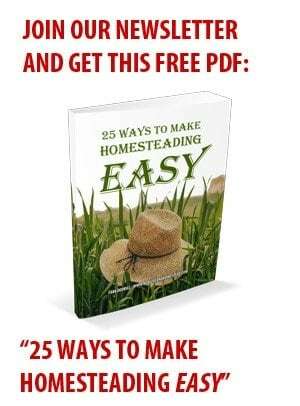 And my husband gets upset when the cats leave footprints all over his car, lol!